Born in 1922 in Jászberény, Hungary, Dr. Árpád A. Darázs began his love for music - especially choral music - in high school. As a sophomore, he organized an all-male glee club that performed at school functions and throughout the city. In 1944, Dr. Darázs received a Diploma in Conducting from the Franz Liszt Conservatory of Music in Budapest, where he studied under the legendary composer and conductor Zoltán Kodály. Graduate Degrees in Music Education followed in 1946 and 1947. Afterwards, he served as choirmaster for the Hungarian Radio and Television Network and as conductor of the Hungarian State Ballet Chorus and Orchestra. In May of 1956, Dr. Darázs smuggled his wife and three young children out of Hungary by bribing a border guard with oranges and chocolates. After a 14-day sea voyage, Dr. Darázs made his United States conducting debut on January 16, 1957, on a ship at the Statue of Liberty in New York Harbor as he led hundreds of refugees in singing "The Star Spangled Banner" in English. While working as a house painter and a waiter in Massachusetts and Connecticut, Dr. Darázs was appointed to conduct the well-known St. Killian Boychoir of Farmingdale, NY. While he served as musical director, the boychoir performed under the batons of Leonard Bernstein, William Steinberg and André Kostelanetz. In addition to conducting, Dr. Darázs was an enthusiastic music educator. For many years, he was only one of a few persons in this hemisphere who was an authority of the Kodály method of choral instruction, a system enabling a quick grasp of music essentials through the aid of hand signals and ear training. He was invited regularly to teach his methods to choral directors and music teachers across the country and abroad. He contributed a number of articles to professional journals on music education and co-authored Singing and Sound, a book on choral singing. He served on the faculty of Molloy College in Rockville Centre, NY, from 1961 to 1966. In 1972, he received a Doctorate in Music Education and Choral Conducting from Columbia University. Dr. Darázs often declared that one of the happiest days of his life was the day he joined the music faculty of the University of South Carolina in 1966. It did not take him long to become involved in what he loved best: choral music. That year, he founded the USC Concert Choir. Within three years, he was conducting the Columbia Boychoir, the Columbia Barbershop Chorus, and the First Presbyterian Church Choir. In 1976, the Concert Choir became the first United States choral ensemble to win first prize in the international Béla Bartók Choral Competition in Hungary, an award that brought special satisfaction to Dr. Darázs because it came in his native country. The Concert Choir won the prestigious award again in 1980 (the performance piece was Kodály's "The Aged"). Dr. Darázs was honored with the "Outstanding Faculty" award from students on three separate occasions. In 1979, a group of Concert Choir Alumni established a scholarship fund for choral students in his name. Not only was Dr. Darázs loved by his students, but by the city of Columbia and the state of South Carolina as well. 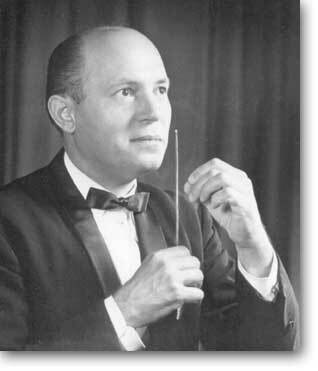 He was invited to conduct the Columbia Philharmonic Orchestra in 1972 and continued in that position until 1980. In 1981, Dr. Darázs founded the Palmetto Mastersingers, an all-male choral ensemble that won critical acclaim at music competitions in Wales and Hungary in 1984. In 1985, Dr. Darázs received the Elizabeth O'Neill Verner Government Award given for outstanding achievement and contributions to the arts in South Carolina. He was honored by Columbia's Bicentennial Committee in 1986 for his musical contributions, which enriched the life of our state for twenty years. The Columbia Bicentennial tribute on October 18, 1986, at the Carolina Coliseum was the last concert conducted by Dr. Darázs. Two months later on December 16, 1986, Dr. Darázs died. He was 64 years old. Dr. Darázs will always be remembered for his boundless energy, his deep love for his adopted homeland, and his absolute commitment to musical excellence. In 2001 the University of South Carolina celebrated its 200th anniversary. The Bicentennial Committee chose the 100 most influential professors during that time and honored them by placing plaques on 100 trees on the historical Horseshoe, the original campus of USC. In October 2001, the tree in front of the President's House was dedicated to Dr. Darazs. To honor his memory the USC Concert Choir and the Palmetto Mastersingers, both started by Dr. Darazs, were joined by The Arpad Darazs Singers, formed in 1987 to honor his memory, in participating in the dedication ceremony. Each group sang an individual selection and then the three joined together to sing the USC Alma Mater.